513: Tony Hawk vs Tom “The Rock” Boyle vs Sean Miller vs Jim Murphy! : The Movie! 1992 Franklin Roosevelt delivers the goods. 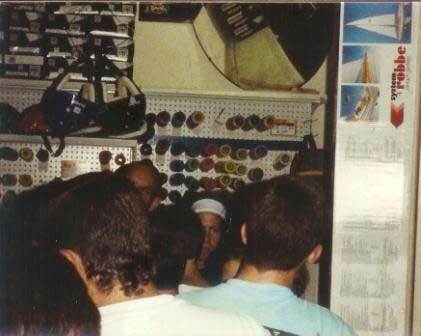 I wrote about this day years ago it even inspired THOS’s first contest….I continue to write about it. Franklin Roosevelt delivers the goods with 12 minutes of raw footage from the vert ramp at Impact Zone in Bricktown later that day. The only need these riders had for helmets was to protect themselves from the ceiling. Tom “The Rock” Boyle—-Tony “The Legend” Hawk–Jim “The Murph Monster” Murphy–Sean “The Almighty” Miller that is quite a bookshelf. Tom does disasterish tricks like no other, its like the ramp would’nt dare let him slam and The McTwist it is an amazing trick but a Sean Miller McTwist let alone back to back! ….and Murph is just our fricken hero. and Tony as always can only be measured by Tony himself. Please comment on the other people in the video street and ramp, I was too anxious to post to do a proper analysis. There is Philly street legend Ricky Oyola street skating with a flatspot wheel concluding in a 1992 Nirvana induced helmet toss…Jay Henry would have been proud! Great stuff! This entry was posted in Jim Murphy, Tony Hawk and tagged Ricky Oyola, Sean Miller, traffic skateboards on February 26, 2010 by jasonoliva. So having contributed to this historic event I was granted an invitation to a swanky party and to skate within the Smithsonian Museum…too cool! When faced with an overwhelming desire to be somewhere one cannot the obvious solution was to send Derek Rinaldi and Jay Henry as my eyes and ears!! It looks like DR and Sleepy head Jay are on site and skating (with uber VIP permission and hopefully alongside Jim Murphy) It seems that the roof of the Smithsonian is considerably higher then that of of the Barn. I can hear one of Jay Henry’s classsic …”DAMMMMITSSSSS” echoing through those hollowed halls…Derek what have you gotten yourself into? Head on down to DC this summer and get some Murphchendise! Seriously what an amazing accomplishment…unreal..Murph! Well Done! 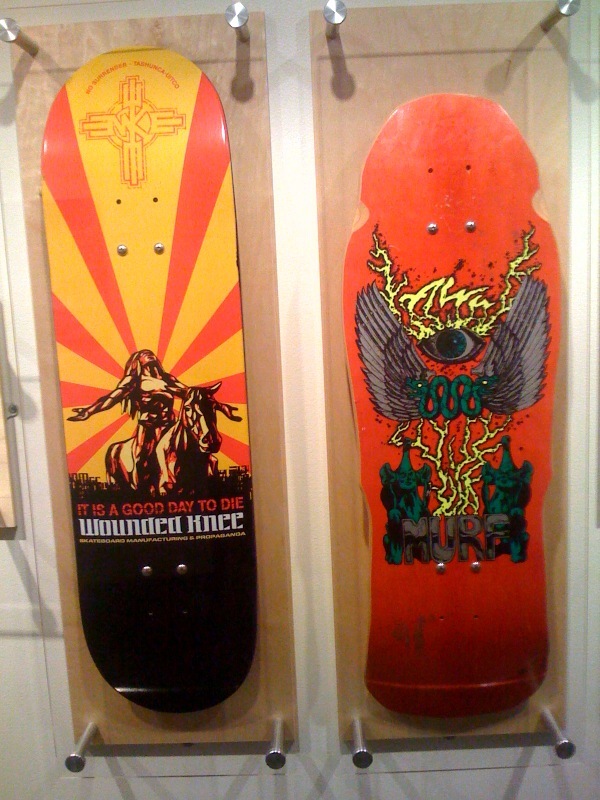 This entry was posted in Derek Rinaldi, Jim Murphy, Uncategorized and tagged ART, backyard ramps, boards, Derek Rinaldi, east coast, house of steam, jason, Jason oliva, jasonoliva, Jim Murphy, New Jersey, New York City, oliva, paintings, photography, pool Skating, ramp, ride, sk8, sk8t, skate, skate decks, skate history, skate photography, Skate ramps, skate trucks, skate wheels, skateboarding, skateboarding history, skateboarding photography, skateboards, skatepark, skater, SKATERS, steam, Street Skating, TEAM STEAM, The Barn, The House of Steam, thos, vert, vert ramps, Vert Skating on July 5, 2009 by jasonoliva. 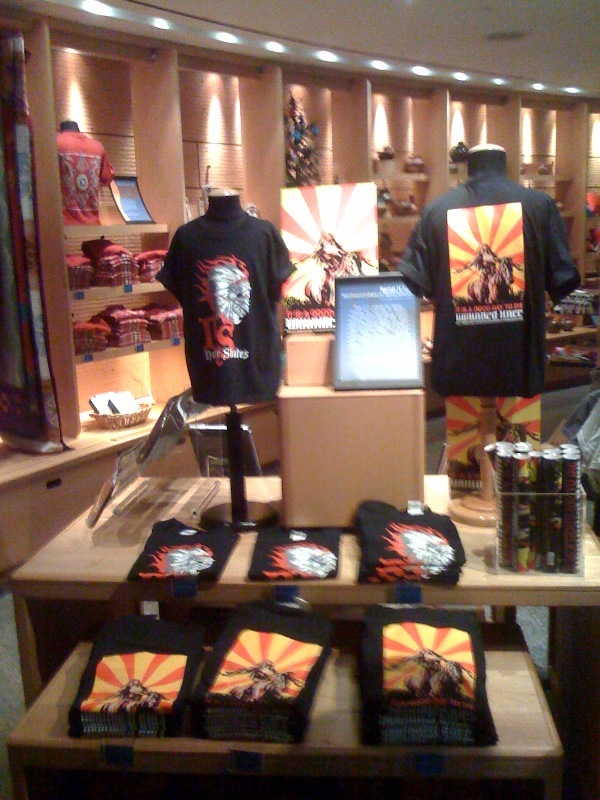 411: The House of Steam in The Smithsonian!..Everyone say thank you Jim Murphy…..Thank you Jim Murphy.Ramp it up Opens June 12th at The National Museum of the American Indian, Washington D.C.
Members of the 4 Wheel Warpony skate team (White Mountain Apache). 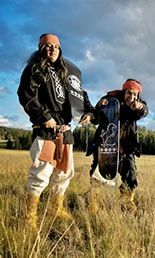 Photo courtesy of Dustinn Craig (White Mountain Apache/Navajo), 2008.
controversy of American Indian skate culture and will be on view through Sept. 13. Ricky and Jimmy Tavarez (Gabrielino-Tongva). 10-year-old Augustin and 7-year-old Armondo Lerma (Agua Caliente Band of Cahuilla Indians). ancient Hawaiian surfing techniques and the visionary achievements of contemporary Native skaters. 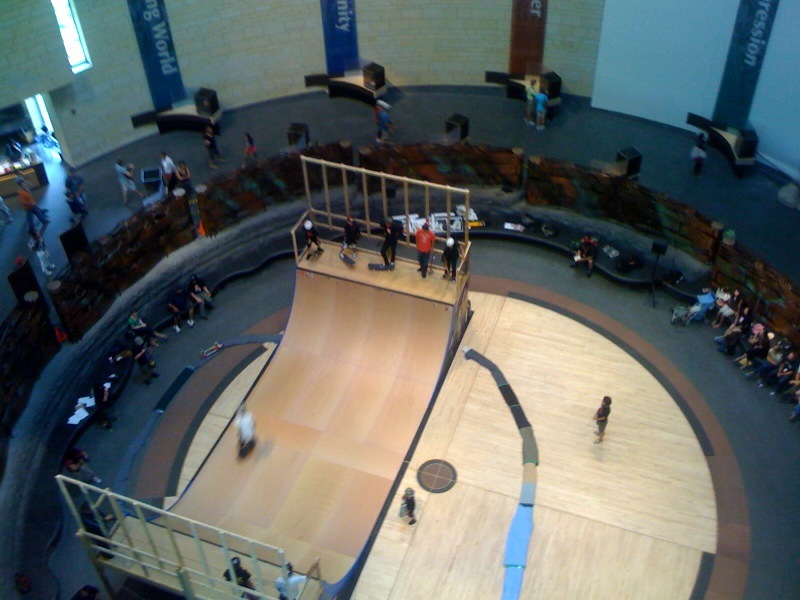 communities have used skateboarding to express themselves and educate their youth. So how cool is this! 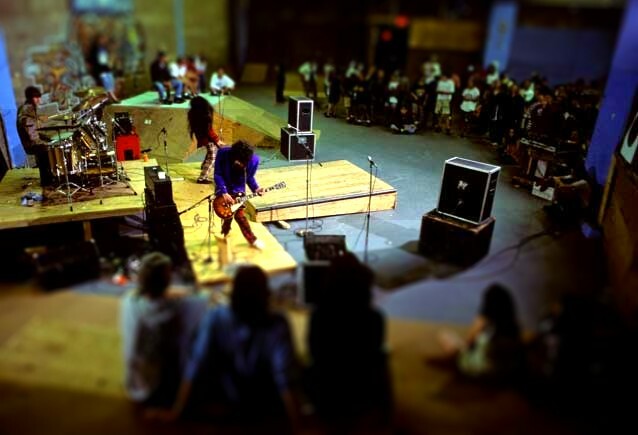 Not only a first for American Indian skate culture but a first for skate culture in general being recognized by The Smithsonian. 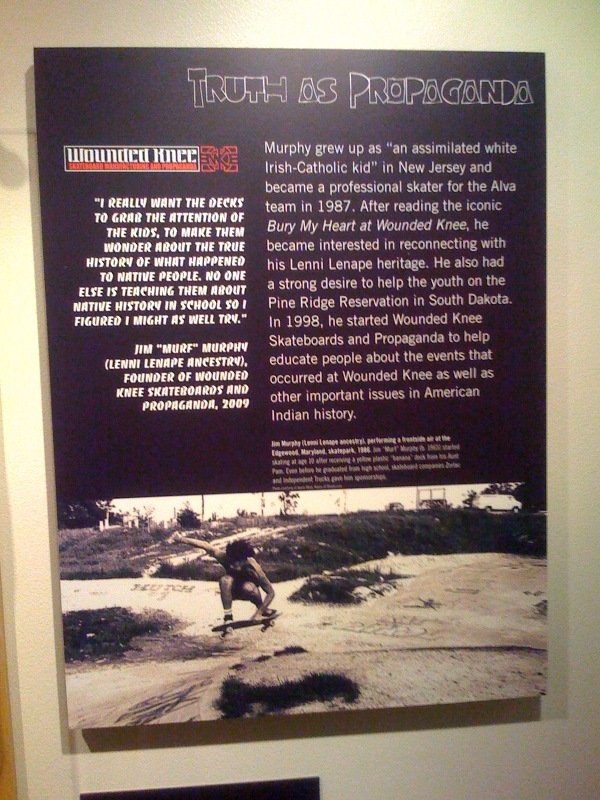 Jim Murphy will be a big part of this due to his years of activities with American Indians and his Wounded Knee skate company. In addition who do the major museums call when they need a “rare archival photograph” of Jim Murphy for a world class exhibit? Well they call the ultimate online skate Museum…The House of Steam! That’s right folks (thanks Jim & Betsey!) we have contributed to the 45 images that comprise the exhibit…A fine hour for the THOS community, a fine hour indeed. Whether or not I will be donning a Tux and attending the shindig in July remains to be seen but if anyone in the D.C. area does head out to see the exhibit please email me some pictures. Hopefully they found a great place to Honor Team Steam member Jim Murphy with this gem…. This entry was posted in Edgewood, Jim Murphy, Photos by Jason Oliva, TEAM STEAM and tagged Agua Caliente Band of Cahuilla indians, American Indian, Armondo Lerma, ART, backyard ramps, Betsey Gordon, boards, Bryant Chapo, Bunky Echo-Hawk, Comanche, Craig r. Stecyk III, Dustin Craig, east coast, house of steam, jason, Jason oliva, jasonoliva, Jim Murphy, Joe Yazzie, National Museum of the American Indian, Navajo, New Jersey, New York City, oliva, paintings, Pawnee, photography, pool Skating, ramp, RAMP IT UP, ride, sk8, sk8t, skate, skate decks, skate history, skate photography, Skate ramps, skate trucks, skate wheels, skateboarding, skateboarding history, skateboarding photography, skateboards, skatepark, skater, Smithsonian, steam, Street Skating, TEAM STEAM, The Barn, The House of Steam, thos, Traci Rabbit. Cherokee Nation of Oklahoma, vert, vert ramps, Vert Skating, Washington DC, White mountain apache, Wounded Knee, Yakama, youtube skate, Zephyr on June 3, 2009 by jasonoliva. 409: Congrats Bernie O’Dowd 34 years skating. 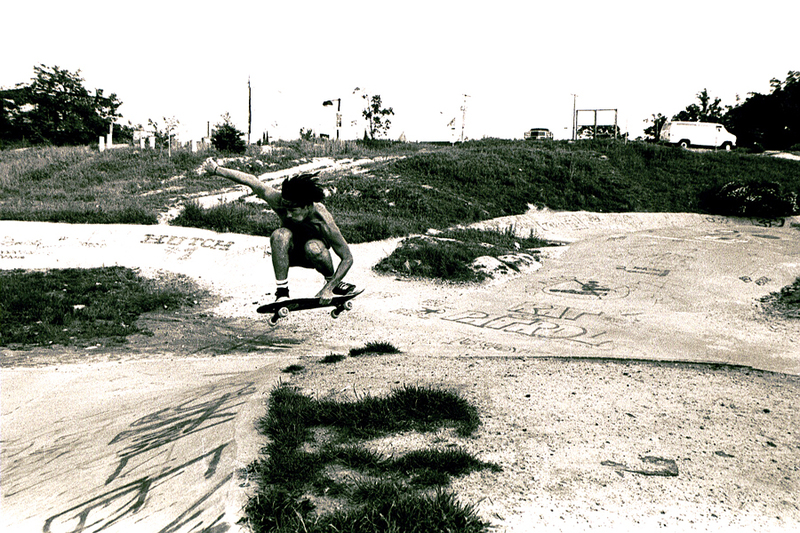 Jim Murphy undergrip Layback air at Tom Groholski’s ramp. Photo: Doh’s Darn Deitz Bruthas! So Bernie typed the other day that he is beginning his 34th year skateboarding. Here he is circa 25 years ago (Green Pickleheaded Helm) waiting for a go on Tom’s ramp. Knowing Bernie most likely dropped in did 15 tricks and exited the ramp onto the platform (very annoying to the skaters like myself who basically skated till they bailed or slammed whichever came first, and not after too many tricks mind you) It is safe to say Bernie has put in enough miles on vert ramps, both backwards and forwards to have traveled to the moon and back. Nice work Bern, hope the next 34 are just as good fer ya. 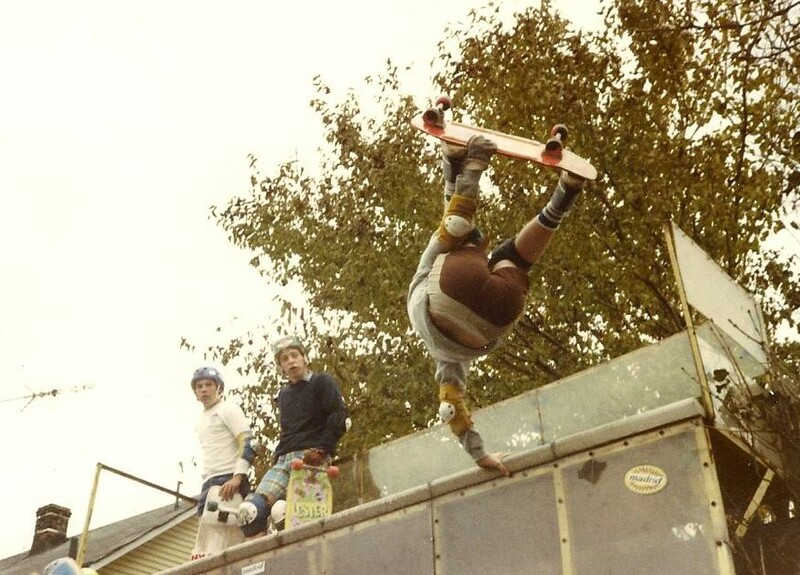 This entry was posted in 1983, Bernie O'Dowd, Groholski's Ramp, Jim Murphy, Photos by Ken & Steven Deitz, TEAM STEAM and tagged ART, backyard ramps, Bernie O'Dowd, boards, east coast, house of steam, jason, Jason oliva, jasonoliva, Jim Murphy, New Jersey, New York City, oliva, paintings, photography, pool Skating, ramp, ride, sk8, sk8t, skate, skate decks, skate history, skate photography, Skate ramps, skate trucks, skate wheels, skateboarding, skateboarding history, skateboarding photography, skateboards, skatepark, skater, steam, Street Skating, TEAM STEAM, The Barn, The House of Steam, thos, vert, vert ramps, Vert Skating, youtube skate on May 30, 2009 by jasonoliva.